For a Western world anxious to understand Islam and, in particular, Shi’ism, this book arrives with urgently needed information and critical analysis. 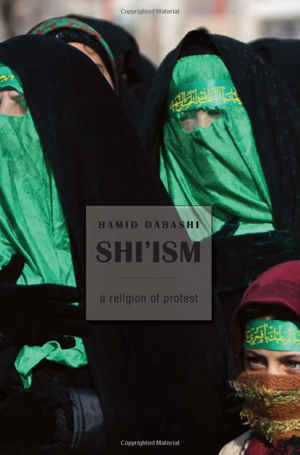 Hamid Dabashi exposes the soul of Shi’ism as a religion of protest — successful only when in a warring position, and losing its legitimacy when in power. Dabashi makes his case through a detailed discussion of the Shi’i doctrinal foundations, a panoramic view of its historical unfolding, a varied investigation into its visual and performing arts, and finally a focus on the three major sites of its contemporary contestations: Iran, Iraq, and Lebanon. In these states, Shi’ism seems to have ceased to be a sect within the larger context of Islam and has instead emerged to claim global political attention. Here we see Shi’ism in its combative mode — reminiscent of its traumatic birth in early Islamic history. Hezbollah in Lebanon claims Shi’ism, as do the militant insurgents in Iraq, the ruling Ayatollahs in Iran, and the masses of youthful demonstrators rebelling against their reign. All declare their active loyalties to a religion of protest that has defined them and their ancestry for almost fourteen hundred years.